I received an interesting piece of gear courtesy of the folks at Amazing Machines, a small company based out of Brazil. It's the MIDITRIBE I/O, and it's a mod for the Korg Monotribe to give it MIDI In and Out. The installation doesn't require any soldering, just opening up the Monotribe, screwing in the board, plugging in a small plastic clip to the Monotribe board, and looping in the MIDI In and Out cables through the back cover of the Monotribe (it's worth noting, this mod will void the warranty on your Monotribe immediately). The MIDI ports themselves are high quality and metal, so they won't crack or break. There are a few different ways to have the MIDI cables attached; I have the way recommended for quickest use by Amazing Machines which has the MIDI cables coming out of the battery compartment. I haven't been able to shut the battery compartment due to the cables, but the batteries stay in well enough where I don't need it for now. If you have the wall adaptor for the Monotribe, you don't need to worry about this. You could, of course, drill small holes in the side of your Monotribe to let the wires hang out and close the battery compartment, or even create proper MIDI ports right in the side of the Monotribe. It's up to you, but the very basic setup is easy and only requires a medium size and smaller screwdrivers. So how does it actually work once it's plugged in? Surprisingly, there's no special setting on the Monotribe or anything to turn on the MIDI-- you simply plug in your controller, and play, and suddenly you've got yourself a very cheap and knobby analog synthesizer. The MIDI In can be sent either through channel 1 to control the synth, or channel 10 to control the drums. I'm able to use all the octaves of my DSI Mopho to trigger all the notes of the Monotribe now. It's bizarre to me that such a simple mod can add that much to the Monotribe-- it's suddenly a synth you can play basslines and leads on for shows or recording. Even the pitch bending and mod wheel work, the mod wheel editing the LFO depth. Your newly added MIDI keyboard works the same way the ribbon does, meaning you can play in the notes the sequence that the Monotribe plays. This can create some interesting and unique ways to play, as you can get a perfect recreation of a quick bassline by using the Monotribe Flux button (the Flux button frees the notes from the locked in 8th or 16th notes of the sequence). 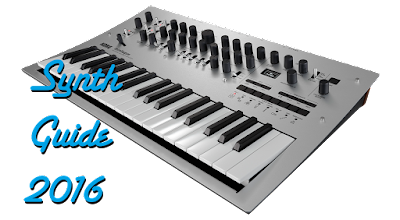 The MIDITRIBE has been around for a little while, but the newest version is the I/O, which has added the MIDI output of the Monotribe. This is great because you've suddenly got a way to run a small sequence into another synthesizer. Again, using my Mopho, I was able to play in a small sequence into the ribbon keyboard and have it be played through the Mopho, perfectly. I also tried it on the Juno 106, but the 106 didn't take as kindly-- it's likely this is due to fact that the 106 is older and wasn't receiving all the MIDI values correctly (perhaps because the MIDITRIBE was sending both the drums and note values at the same time on different MIDI channels). Regardless, it's quite cool to suddenly have a small and basic sequencer for your other synths. The fun part: seeing the insides of your Monotribe. The MIDITRIBE I/O is not, as I mentioned before, the first MIDITRIBE from Amazing Machines, but it is the cheapest and highest build quality. It costs $64 USD plus $24 for shipping, bringing in the total at $88. Amazing Machines is working on getting international distributors, so hopefully you'll be able to get it for a little bit cheaper in the coming months, but it's worth it to expand the power of the Monotribe. 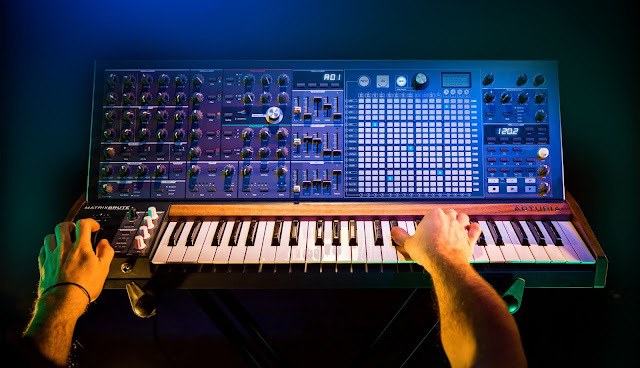 The MIDITRIBE brings new life to the Monotribe, moving it from a fun module to a recordable and performance ready synth. Amazing Machines has picked up where Korg left off, and added a new dimension to this tiny box.